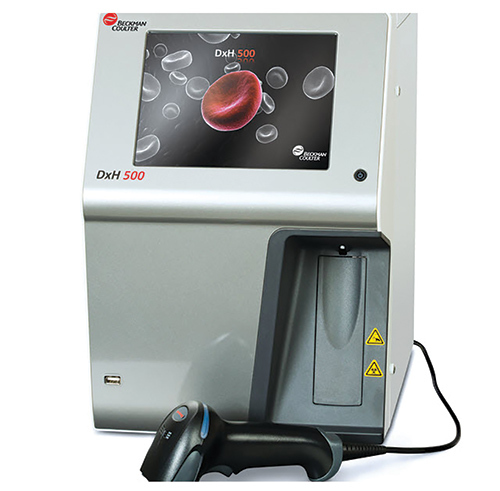 To help laboratories deliver the fast, accurate results that physicians and patients need with greater efficiency, Beckman Coulter Diagnostics launched its next-generation software to support new and existing DxH 500 hematology analyzers. The version 2 software upgrade gives small-volume clinical laboratories access to a comprehensive suite of tools, including a proprietary dynamic-gating methodology for improved flagging and a sophisticated quality control menu. The technology improves results flagging by adjusting the thresholds between cell cluster arrangements. 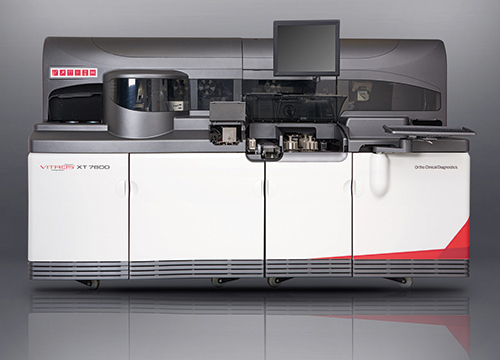 This unique, multi-layered system of adjustable gates enables the analyzer to better identify cell populations, giving laboratories confidence in the accuracy of results and reducing slide reviews that can interrupt workflow. Procalcitonin (PCT), a biomarker specific to bacterial infections, offers advantages as an aid to guide antibiotic treatment decisions or to assess the risk of critically ill patients for progression to sepsis or septic shock. With Fujirebio Diagnostics, Inc.’s Lumipulse® G B•R•A•H•M•S PCT Assay for testing on its LUMIPULSE® G1200 immunoassay platform, clinicians can more accurately determine the change in PCT levels and, therefore, the effectiveness of antibiotics, as well as make more informed antibiotic initiation and discontinuation decisions. The assay recently received FDA clearance. 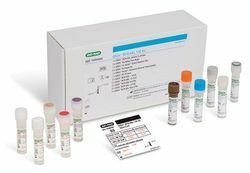 Abbott has received FDA clearance for its next-generation Influenza A & B 2 and Strep A 2 molecular assays for point-of-care testing. Currently available on the ID NOW™ platform (formerly Alere i), both assays have been granted a CLIA certificate of waiver. 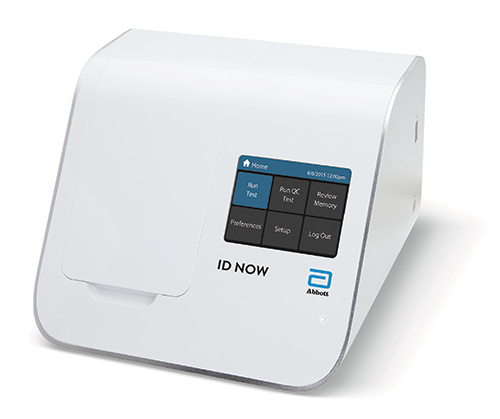 The enhanced Influenza A & B 2 assay offers the fastest point-of-care molecular detection and differentiation of influenza A and B virus available—in 13 minutes or less, with early call out of positive results in as little as five minutes—and allows for room temperature storage of all test components, simplifying and streamlining test ordering and storage. The Strep A 2 provides molecular detection of Group A Streptococcus bacterial nucleic acid, the primary cause of bacterial pharyngitis, more than twice as rapidly as other available molecular tests, with no culture confirmation required for negative results. 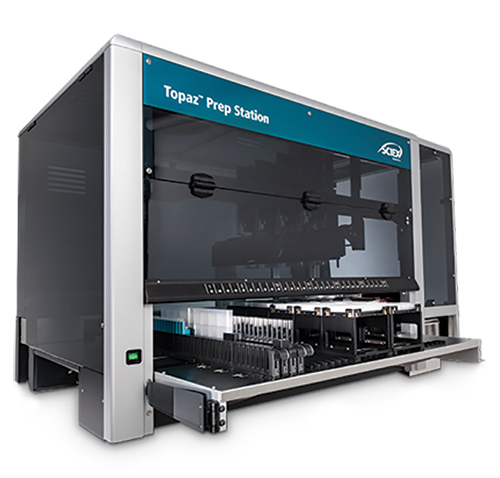 This year, SCIEX launched its new Topaz™ Prep Station, an automated sample preparation workstation that is ideal for labs managing high daily sample volumes. The Topaz Prep Station supports the Topaz™ LC-MS/MS System, a Class I Medical Device designed to simplify adoption for new mass spectrometry users, while still offering the functionality needed for more advanced users. 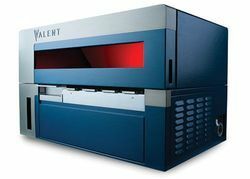 Along with the Topaz Prep Station, SCIEX also introduced its new FDA-approved Vitamin D 200A Assay Kit. 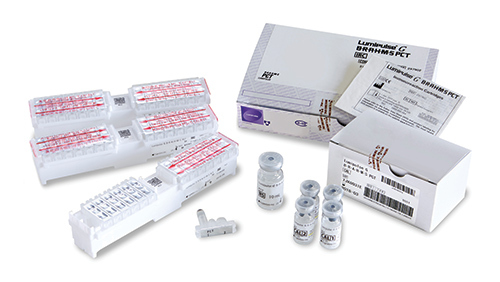 This kit is a locked, pre-validated assay that allows labs to perform vitamin D analysis in-house, and employs automated sample preparation on the Topaz Prep Station to deliver highly accurate results to support medical decisions and quality patient care. Having received FDA clearance, Ortho Clinical Diagnostics’ VITROS ® XT 7600 Integrated System will now enable clinical laboratories to keep pace with a rapidly evolving global health care environment. The system’s DIGITAL CHEMISTRY™ technology combines Ortho’s proprietary MicroSlide technology with sophisticated digital imaging capabilities and the potential to perform two separate lab tests simultaneously. DIGITAL CHEMISTRY™ brings powerful data intelligence, operational improvements, and heightened quality to the lab to help clinical laboratories keep pace with a rapidly evolving global health care environment, without requiring additional lab space. 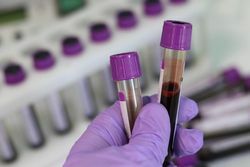 When a patient experiencing chest pain enters the emergency department, a physician orders a blood test to determine whether troponin is present. As blood flow to the heart is blocked, the heart muscle begins to die in as few as 30 to 60 minutes and releases troponin into the bloodstream. Now, Siemens Healthineers is helping to shorten the time doctors can diagnose a life-threatening heart attack with two assays that offer unparalleled precision. 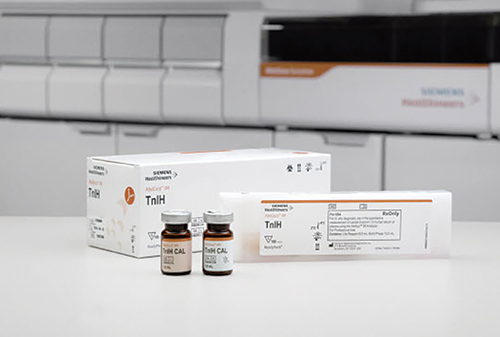 The FDA has cleared High-Sensitivity Troponin I assays for the Atellica IM and ADVIA Centaur XP/ XPT in vitro diagnostic analyzers from Siemens Healthineers to aid in the early diagnosis of myocardial infarctions. Thermo Fisher Scientific recently established the International Childhood Oncology Network (ICON) and launched its Oncomine Childhood Cancer Research Assay, a comprehensive, nextgeneration sequencing (NGS) panel that targets mutations associated with pediatric and young adult cancers. Thermo Fisher's ICON is a resource to develop a global community of researchers who collaborate by sharing data, best practices, and experiment protocols to drive deeper understanding of pediatric, childhood, and young adult cancers. 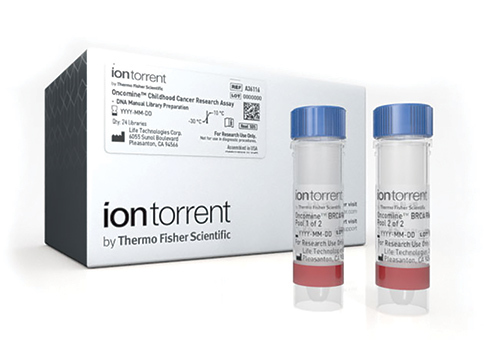 To enable comprehensive analysis of tumor samples, Thermo Fisher's new Oncomine Childhood Cancer Research Assay combines specific mutations, gene amplification, and fusions in a single panel.